This week, Dr. Smith is welcoming three guest bloggers to his All In blog. Joia Daniels is an MCPS graduate who is now a special education teacher at Montgomery Knolls Elementary School. 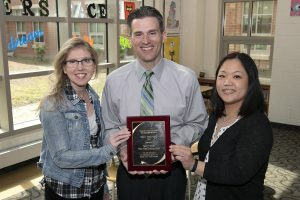 Kristen Kane, a kindergarten teacher at Forest Knolls Elementary School, is the 2018–2019 Teacher of the Year for Montgomery County. Helene MacLaughlin, a physics teacher at Northwood High School, was named an MCPS Rising Star Teacher of the Year. Dr. Smith had the opportunity to hear them speak in August at the New Educator Orientation, and he asked them to share some comments with all employees. Below, they offer thoughts on the start of the new school year, the importance of teaching and tips for building successful relationships with students and families. Welcome! For many of you, this is your first time embarking on the journey as a teacher and for others, you have been well seasoned in the game. My name is Joia Daniels. I am a product of MCPS. I went to Stonegate Elementary School, White Oak Middle School, and graduated from Springbrook High School. I also coach JV girl’s lacrosse and finally got my dream job to coach varsity girls’ basketball at my alma mater this season. I was once in your shoes this time last year, eager to begin my teaching career. Before that, I was a paraeducator in the county for five years. During the last three years, I began my studies at Towson University and obtained my master’s degree in special education in May 2017. As you all know, MCPS has five major core values—Learning, Relationships, Respect, Excellence and Equity. My first year of teaching did not have any dull moments and was eventful, to say the least. I learned a lot last year, even more than what I learned in grad school. Every day, you’re going to be learning something new. It is as constant as the new information your students will gain this year. In my first year as an educator, my professional life was hectic. As I’ve stated before, managing two different buildings was tough. It took time to foster relationships with my students and colleagues. Relationships are an integral part of our job. It’s what keeps us grounded and connected to the needs of our students, their families and the school. Building these relationships with students, parents and team members takes time. Aside from building relationships with my students, the one person I leaned on the most was my staff development teacher. We set up weekly check-ins where I was able to ask questions, listen and learn a new curriculum that was different than the one I used the year before. Many of you will have Consulting Teachers (CTs) and/or mentors this coming year. I would encourage you to lean on them. Use them as a resource. Don’t be afraid to ask questions. Once those relationships are built, respect comes into play. Respect comes once those relationships are fostered and maintained. This past year, I’ve had to earn the respect of many of my students who had the mentality of “show me you care first.” Most students can filter through nonsense. They can feel your realness and when you’re being disingenuous. Respect for your students can then lead to the expectation of excellence. Those expectations should be clear, reasonable and attainable. All students have the capacity to excel and meet high expectations. This will manifest itself in huge gains of progress and/or in baby steps over periods of time. Please remember, any progress is great progress. Celebrate these moments of excellence with your students. Last but not least, equity. Last year, I had students from all walks of life, speaking different languages, and who exhibited different learning styles. When it comes to lesson planning, it is not a one size fits all. Be creative and think of ways to bring out the best in your students. Differentiate. Give each student an opportunity for their voice to be heard using different modalities. But be careful not to overthink it. As many of you know, teaching is not for the faint of heart. You will have students walk into your lives ready and eager to learn, those who are culturally different than you, as well as those who bring the weight of their worlds to your classroom. Just remember, this year will be filled with many highs and lows, days where you question yourself, ask yourself ‘what did I get myself into,’ begin to rethink everything you spent the last couple of years going to school for, and reconsider your life’s calling. Trust me, I did all of the above. Just remember your why. Why are you here? Remember what drove you to get to this point in your journey. You are a beacon of light and hope for their futures. Start your school year with an open mind. Ask questions. Don’t be afraid to make mistakes. Stop and reflect from time to time. Drop some knowledge and wisdom on your students. These kids need you. You just might be their modern-day superhero. One of my favorite superheroes is Spider-Man. A quote from the original movie states: “With great power comes great responsibility!” You have been given great power to impact the lives and minds of your future students. Have an amazing and inspiring school year! Good morning to all of you amazing new Montgomery County Public Schools’ teachers! Welcome to your first day of teaching in the best school system out there! My name is Kristen Kane, and in addition to teaching kindergarten at Forest Knolls Elementary School, I am the 2018–2019 MCPS Teacher of the Year. I am so thrilled to be here with you this morning. The energy and excitement in this room is palpable and contagious. I wish I could harness this feeling and save it for later. You all are really getting me excited to start this new school year. Teaching is the most important job in the world, but for those of us who teach, it is truly more than just a job. Teaching is a lifestyle; it is a passion; and it is the profession that creates all other professions. Teachers have the ability to shape the future; our impact on young lives is infinite. In order to accomplish this tremendous task, we must understand our audience and we must be prepared to teach all of the children. Whether you, like me, are getting ready to teach kindergarten and welcome our youngest learners into the world of being a student, teaching 5th grade and preparing them for middle school, or somewhere in between, we all have the same task at hand. We need to recognize that in addition to teaching reading, writing and math and science, we also must teach students to understand themselves and others. Relationships matter and we need to connect and build those relationships with all of our students to create a safe and welcoming learning environment. All means all. You will hear this phrase often this week and throughout the school year delivered from Dr. Smith through to your administrators and team leaders. 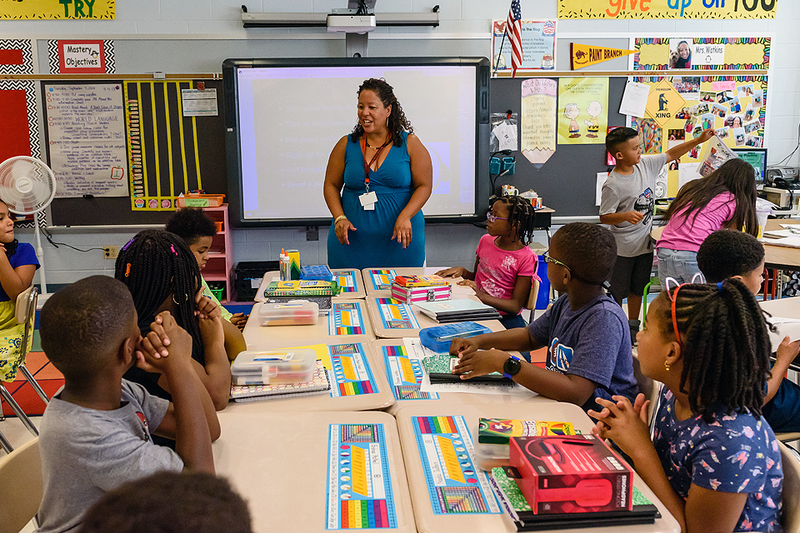 We in MCPS are committed to ensuring that we are ready to reach all of the students we encounter during the day… to teach, to inspire, to build relationships. ALL of the students. And remember that you are not beginning this adventure alone. We all need the support of our friends and colleagues to be the best we can be, so don’t be afraid to ask for help. I want to be that champion. I want us all to be that champion. Have a wonderful school year. My name is Helene McLaughlin, and two years ago, I was sitting in the seats you are sitting in right now. I’d never taught in a classroom before, and I didn’t know anyone. Today, I’m here speaking to you as the MCPS Rising Star Teacher of the Year, a prestigious award given to a teacher in the first four years of their career, who has made a significant impact on their students, school and district. I never imagined that I’d be where I am today. You see, I am a career changer, I never planned to become a teacher. I graduated with an astrophysics degree and worked as an astronomical data analyst for several years. After leaving the astronomy field to focus on raising a family, I chose to pursue my love of astronomy through a different venue—teaching. While pursuing my master’s degree, I worked as a home and hospital teacher providing math and science education to some of the neediest students. I may not have learned how to teach in front of a large class, but I did learn the importance of compassion for every student’s individual needs. Knowing how to teach, and actually being in front of a class of 30 high schoolers is a very different situation. When I started teaching physics and astronomy at Northwood High School, I was terrified. I’m sure that is a feeling that many of you sympathize with right now. Whether you are a completely new teacher, or just new to MCPS, being new is scary. So … let me give you some advice from one new teacher to another. Don’t be afraid to ask for help! You never know who is able to help you, so ask, the worst that can happen is they say no. 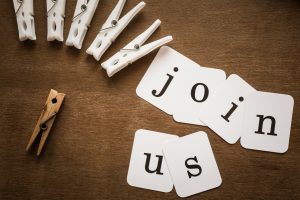 Make friends with the school secretaries, business office, administrators, media specialists, special ed teachers, building services and everyone else. You never know who will be able to help you out in a bind. Take care of yourself. The first year teaching is stressful; make sure that you find time to detach from work and be kind to yourself. Don’t be afraid to take chances and try something new. Sure, there is district curriculum and standardized tests, but that doesn’t stop your ability to teach. Have fun, be memorable, be you and your students will appreciate you more. Rise to the challenges placed in front of you. When I started, Northwood had a struggling physics program, with barely 30 physics students across the school. This coming school year, I have more than 100 physics students covering five classes. I’ve implemented AP Physics at my school, created a physics club and started two Science Olympiad teams. You can do this, too! Get involved beyond the classroom. Be a coach, write curriculum, plan a field trip or run a club. What you do doesn’t matter, as long as you are getting involved and making your school and district a better place for you to teach in and for your students to learn in. Always be reflective of your teaching practices. If something didn’t work, accept it and change it. You cannot be rigid as a teacher and expect to succeed. Above all else, remember it is OK to make mistakes. You WILL make mistakes, but it is your response to those mistakes that will define you as a teacher. Good luck and be amazing!